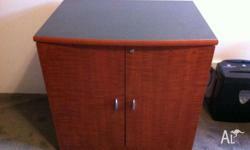 for sale Large Decorator Wall Cabinet. 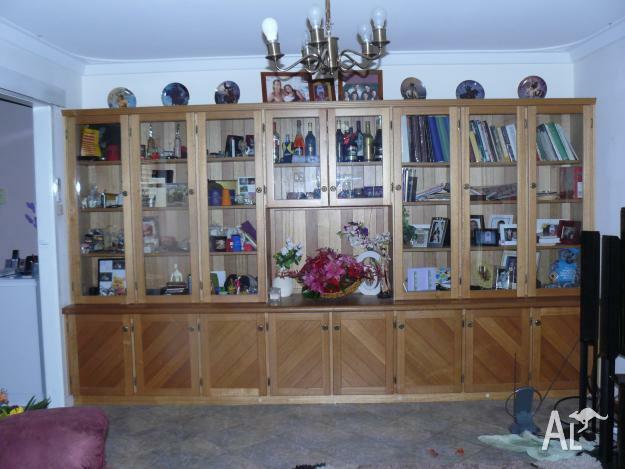 It is 3.65m length x 2.55m height, it has 8closed door bottom cupboards one of the bottom cupboardsopens up to two drawers , then 8 glass door top cupboards on the top it is hand crafted. The bottom cupboards have a single shelf so top and bottom. 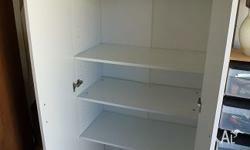 But the top cupboards are a 3 tier shelf. The Centre top cupboards are the smaller ones, leaving room for a television to be in the centre shelf where the flowers are. 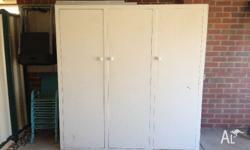 Large white melamine cupboard in good condition. 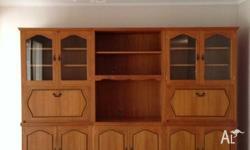 It is 90x40x180cm and has four shelves. Asking $130. 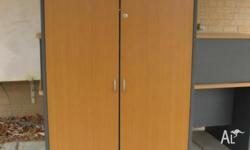 Storage cupboard suit either office or general use. Dimensions: 740 x 530 x 720 In excellent condition.